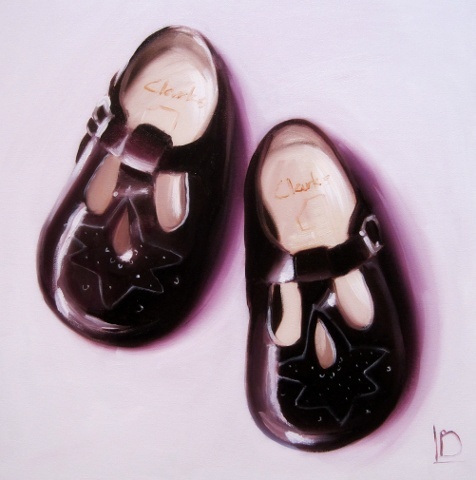 These cute as a button first shoes are vintage Clarks patent leather girls shoes, and were painted as a gift from daughter to mother. There's something so special about a baby's first shoes- and whether you have a little baby in your life, or they're all grown up and wearing size 10s, a painting of those iddy biddy little shoes makes a lovely gift. Do get in touch if you'd like more information about commissioning your own painting.